Yet another variation on date balls. This particular one is raw vegan as well as gluten-free, dairy-free & refined sugar free. This recipe I have specified where most ingredients are from as I want to spread the message that these are readily accessible (in your supermarket) ingredients. As usual, quantities are rough so I always recommend you try the mixture once blended & decide if you feel it needs more of anything! 1. Put the chia seeds in coconut water, stir a bit & let it sit for 5-10 minutes. It will turn into a ‘gel’ texture. 3. Throw all ingredients (except dedicated coconut) into a food processor, blend until well combined. 4. Taste test – if you’re not happy with any elements, now is your chance to add! 5. Scoop out all the mixture & put into glad wrap then throw into the fridge – this is purely to make them easier to roll & is not vital but will make your life easier! 6. 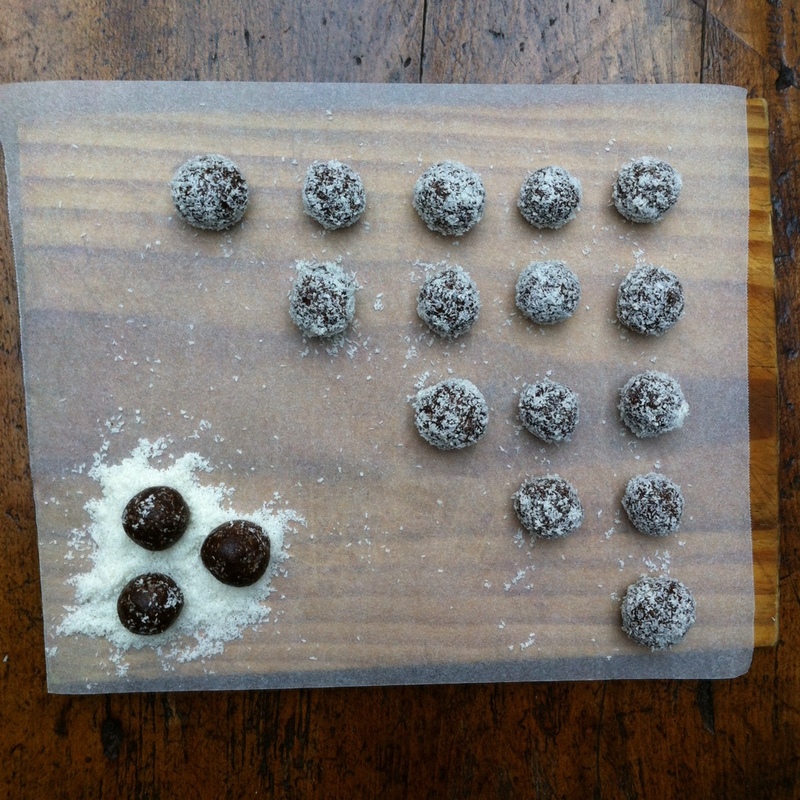 After an hour in the fridge, take them out, roll into balls then roll in desiccated coconut. Place on baking paper to prevent from sticking. This entry was posted in Recipe and tagged almondbutter, chiaseeds, coconut, coconutwater, date, paleo, rawvegan, tahini, vegan by 6 Clean Ingredients. Bookmark the permalink.